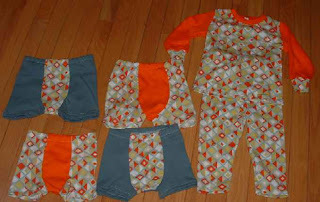 Here are the pajamas and underwear. Lovely, no? I actually think the print looks fine with the blue fabric, but the orange... not so much.